What does the latest research tell us about what makes community business successful, and about its impacts on the local area? 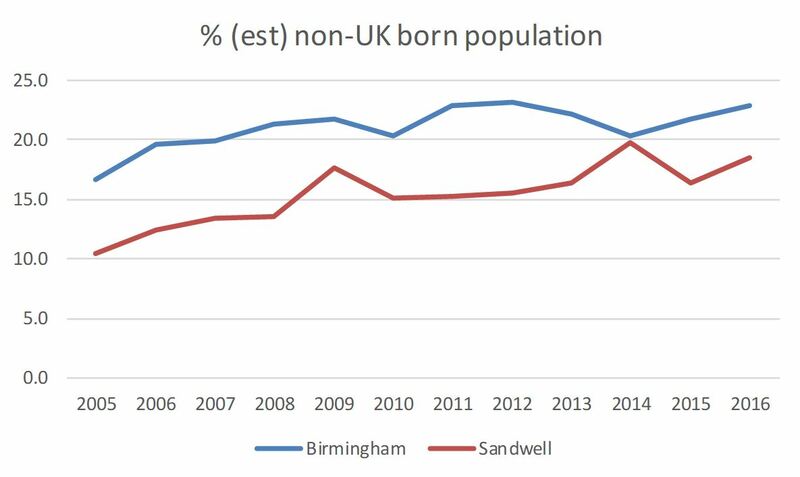 And what might we conclude about the parts of Birmingham and Sandwell that make up the USE-IT! programme area? There are a couple of interesting studies commissioned by Power to Change, the independent community business support trust organisation, published in August and September this year. The first, The impact of community business on local communities, takes a snapshot view of community businesses in six places around the UK. The second, Neighbourhood economic models, looks at the factors that promote successful community business. The headline from the first study is that it’s a tough thing to measure. Surveys of people living close to a well-established community business were compared to areas without a similar community business. And the results? Maybe surprisingly, it showed not much difference in measures of community cohesion and individual wellbeing. But as the researchers point out, this was the first time a survey like this has been run, so we’re not looking at trends over time. And a key point is that community businesses are often established in those hardest-hit communities where these measures of cohesion and individual wellbeing are already low, so drawing direct conclusions is hard. They’ve got a baseline now, so future surveys will make the picture clearer. 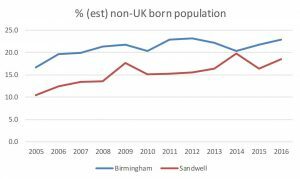 For those not born in Britain, the top ten countries of origin in the West Midlands as a whole are India, Pakistan, Poland, Ireland, Jamaica, Bangladesh, Germany, China, Zimbabwe and Kenya. That’s a pretty wide spread from which to draw entrepreneurs able to service the wants of a wide variety of local markets. The key lesson from the research is that our area is fertile ground for determined, aspiring social entrepreneurs to start up new enterprises. The USE-IT! programme is here to encourage social entrepreneurs to take the plunge!